Make this tasty meat free recipe below and vote for your favourite organic product! This year you can get involved with organic too, the BOOMs Nation’s Favourite Award asks the people to find and vote for the most popular organic product. Nominations are open NOW until to Wednesday, May 31st – make sure you have your say here by voting – click on this link. Poach them in the minestrone. Alternatively you could bring a pan of water to the boil and cook them in the boiling water for 5 minutes, until they float – removing them with a slotted spoon. Taking Music to the Mountains is a festival of 24 concerts in magnificent natural settings which takes place between July 7 – August 31, 2017. Each summer, the Sounds of the Dolomites music festival is held in the beautiful Trentino Dolomites, and features a musical programme that is both eclectic and wide-ranging. This year, the 12 Cellists of the Berliner Philharmoniker, singer-songwriter Jack Savoretti, and jazz legend Chick Corea are all on the menu. Now in its 23rd edition, the Sounds of the Dolomites festival offers both musicians and audiences an intriguing proposition. How would their music sound if it were played outdoors, in one of the world’s most famous mountain landscapes? Each summer, in July and August, they come to the Trentino Dolomites to find out: and discover a unique and unforgettable event. The key to the festival’s success is its willingness to seek out the most stunning venues. The concerts are not staged down in the valleys, with the cliffs and crags a distant backdrop: they’re up on the slopes – performed in lush Alpine meadows, or on the shores of remote mountain lakes. Usually, there’s a mountain refuge nearby, and a switchback road or cable car to take the sting out of the climb. But in most cases, audiences and musicians need to do a little walking to get there. It’s well worth the effort. Each setting has its own special qualities: but every one of them is magical. Up in the mountains, the music breathes like nowhere else – and begins an fascinating dialogue with its surroundings. Violins and cellos flicker in the breeze, and the silences are as meaningful as the songs. It’s no wonder, then, that the festival has become a widely-anticipated event amongst both musicians and music lovers – and is reviewed in both the Italian and international media. This year’s festival begins with a performance by the 12 Cellists of the Berliner Philharmoniker at the Rifugio Fuciade – a serene and lovely spot near the San Pellegrino pass. The ensemble was established in 1972 and over the years it’s played for the Emperor of Japan and the President of the United States. On July 7, it will perform works by Boris Blacher, Julius Klengel, Astor Piazzol and José Carlia, while the audience gazes across the trees and meadows towards the Pale di San Martino: one of the most dramatic of all the Dolomite massifs. It will be a fitting start to a mouthwatering programme, which mixes world music, jazz, and classical recitals with performances by singer-songwriters such as Jack Savoretti. Savoretti’s “Written in Scars” was a permanent fixture in the UK album charts in 2015, and he’ll be playing songs from his latest release, “Sleep No More” in Madonna di Campiglio on August 28. Meanwhile, on July 12 at the Villa Welsperg, you can see Jazz legend Chick Corea, who’ll be duetting with banjo virtuoso Béla Fleck: an unlikely combination perhaps, but one which has already produced intriguing results, and received rave reviews. Another highlight comes courtesy of the Tunisian oud virtuoso, Anouar Brahem, who’ll be playing on August 2, in the dramatic setting of the Passo Sella. But for raw mountain atmosphere, it will be hard to beat the recital on July 26 by the Kelemen Quartet at Laghi di Bombasèl – a series of remote and magnificent mountain lakes, high above the town of Cavalese. One striking feature of this year’s event is the “festival within a festival”, which runs from July 17-23 in the Brenta Dolomites. Here, you’ll be able to see a concert a day in spectacular locations around the resort town of Madonna di Campiglio. They’ll be performed by one of the musical directors of the Sounds of the Dolomites, cellist Mario Brunello, with members of Kremerata Baltica orchestra – and the programme promises to be innovative in every way. From 18-20 July, for example, Brunello will be trekking through the mountains with fellow cellist Peteris Sokolovksis, stopping en route to perform music by Offenbach and Boccherini – as well as the “Lux Aeterna”, Kneifel’s mystical work, in which they’ll accompany their cellos with song. Throughout this event Brunello will be playing a prestigious 17th-century Maggini cello, made with wood from the forests just east of Paneveggio in Trentino. Here, the mountain valleys are home to Italian Red Spruces, which grow straight and slow in the chilly, sheltered microclimate. Their dense, consistent timber makes near-perfect soundboards for musical instruments – and Maggini wasn’t the only master craftsman to understand its properties. Stradivarius also used wood from these forests for his violins. If you’d like to join Mario Brunello and Peteris Sokolovksis for their three-day trek through the Brenta Dolomites, the price is €360, which includes two nights accommodation in mountain refuges (limited spaces – bookings from 9 am on May 8 on +39 0465 447501). But otherwise, all the concerts in the Sounds of the Dolomites festival are free. New this year: with your Trentino Guest Card or if you have a local guest card, you can also join in one of the mountain guides leading walks to the venues for free. Most concerts begin at 1pm. However, on two mornings – July 15 and 23 – they begin with the sunrise, at 6am. Each has a back-up venue at lower altitude, in case of inclement weather. The Festival will of course provide the perfect excuse for a longer holiday in the Dolomites, which were recognized as a World Heritage Site by Unesco in 2009. The best places to stay will be in the towns and villages of the Val di Fassa and the Val di Fiemme, in San Martino di Castrozza, or – for Mario Brunello’s mini-festival of July 17-23 – Madonna di Campiglio. For details of accommodation, visit www.visittrentino.info/en/booking/all-accommodation. For more information about the Sounds of the Dolomites, visit www.isuonidelledolomiti.it/EN/. For many years, apple cider vinegar has been linked with an array of health benefits, according to an article in Medical News Today. These have ranged from aiding weight loss to relieving cold symptoms. But does taking it help people with diabetes? The majority of the health claims around apple cider vinegar have yet to be supported by clinical research. However, evidence has been emerging to suggest that apple cider vinegar may have certain benefits for the management of type 2 diabetes. This article will discuss the research behind this claim and how apple cider vinegar should be taken, if at all. Apple cider vinegar derives from cider or fresh apples and is produced after a slow process that breaks down sugars. Vinegar can be made from nearly any carbohydrate. Apple cider vinegar is derived from cider or freshly pressed apple juice. Like most vinegars, apple cider vinegar is produced after a slow process spanning several weeks or months in which sugars are broken down. Mother of vinegar is a cobweb-like substance made from yeast and bacteria that builds up during this period. Mother of vinegar gives the vinegar a cloudy appearance and it is only present in unfiltered apple cider vinegar. It is thought to boost the vinegar’s nutritional value. However, most vinegar is pasteurized. This heating process kills bacteria but prevents mother of vinegar from forming. In 1980, there were around 108 million people with diabetes worldwide. Its prevalence has increased greatly over the past few decades to an estimated 422 million. Diabetes is a chronic condition marked by an inability to manage blood sugar levels appropriately. The hormone responsible for regulating blood sugar levels is called insulin. People with type 1 diabetes are unable to produce this hormone. People with type 2 diabetes are unable to produce enough insulin or respond appropriately to the hormone. People can also develop a related condition known as prediabetes. This is where an individual may have blood sugar levels that are high, but not yet high enough to be diagnosed with diabetes. Developing methods that help the body to regulate blood sugar levels efficiently is the most effective strategy in managing diabetes. Maintaining a healthful, balanced diet and regular exercise are crucial lifestyle factors that can help to achieve this. Some evidence also suggests that consuming apple cider vinegar may be useful in helping people with diabetes to control their blood sugar levels. One study demonstrated that apple cider vinegar reduced blood sugar levels and had a positive impact on cholesterol in rats with and without diabetes. Studies suggest that a small amount of apple cider vinegar may help to reduce blood sugar levels after a spike following a meal high in carbohydrates. In humans, researchers have looked at how consuming apple cider vinegar alongside a meal high in carbohydrates affected blood sugar levels in participants who had type 2 diabetes, prediabetes, or neither condition. Meals high in carbohydrates typically cause a spike in blood sugar levels immediately after eating. However, less than an ounce of apple cider vinegar significantly reduced blood sugar levels across all three groups following the meal, compared with the consumption of a placebo drink. Another study in patients with type 2 diabetes compared apple cider vinegar with water. The authors found that consuming 2 tablespoons of apple cider vinegar with a cheese snack before bedtime was enough to significantly lower blood sugar levels the following morning. This finding suggests that apple cider vinegar could also help to reduce fasting blood sugar levels. This refers to blood sugar levels after 8 hours without eating or drinking anything except water. Fasting blood sugar levels serve as a baseline measure of a person’s blood sugar levels. It is thought that a component of apple cider vinegar called acetic acid may slow down the conversion of complex carbohydrates into sugar in the bloodstream. This provides more time for sugar to be removed from the bloodstream, allowing the body to keep blood sugar levels constant and limit spikes. This is also a theory underlying the effects of several different diabetes drugs. While consuming apple cider vinegar could help people with type 2 diabetes control their blood sugar levels, it could be harmful to those with type 1 diabetes. The inadequate digestion of food is a common complication for people with diabetes. Called gastroparesis or delayed gastric emptying, it means that food can remain in the stomach for an abnormally long period of time without being digested. These delays in the digestive process make it harder for the body to consistently control blood sugar levels. A team of Swedish researchers found that apple cider vinegar increased the time in which food remains undigested in stomach of people with type 1 diabetes. It is important to note that a majority of the studies within this area have been conducted using small sample sizes and findings have not always been consistent. A large-scale, randomized control trial to find out how apple cider vinegar affects blood sugar levels in patients with diabetes has yet to be conducted. Any impact that apple cider vinegar might have on the regulation of blood sugar levels is likely to be relatively small compared with maintaining a healthful, balanced diet and regular exercise. Based on the available evidence, apple cider vinegar could help people with type 2 diabetes to control their blood sugar levels. More research is needed for large-scale recommendations. Its consumption in moderation has yet to be linked with any significant harms or side effects. Apple cider vinegar may be consumed diluted in water or used in marinades and salad dressings. People who wish to consume apple cider vinegar are best diluting 1 to 2 tablespoons of apple cider vinegar in a large glass of water. It should be consumed before meals and there may be benefits associated with consuming it just before bedtime. As with most vinegars, it is not recommended to consume undiluted apple cider vinegar. When drunk on its own, it can cause stomach irritation or damage to tooth enamel. Apple cider vinegar can also be used as a versatile cooking ingredient. It is suitable for use in salad dressings, marinades, sauces, and soups. It works well with many meats and fish. People are most likely to see the distilled varieties of apple cider vinegar on sale, which has a clear, see-through appearance. However, it is better to search for the unfiltered, cloudier varieties as they contain mother of vinegar and are more nutritious. People with type 2 diabetes may want to consider diluted apple vinegar cider given that it is safe to consume and may provide some benefit to blood sugar level control. However, the evidence behind its benefits is still lacking. It is important for people to note that apple cider vinegar should not be considered a quick fix for diabetes. Eating a balanced diet low in carbohydrates, high in fiber, and exercising regularly are the most effective methods of controlling diabetes. A new scientific study reveals that drinking beetroot juice prior to working out enables the aging brain to perform more efficiently and appear younger. Previous studies have shown that beetroot juice increases blood flow to the skeletal muscles during exercise by 38%. Now, researchers at Wake Forest University have found that drinking beetroot juice ahead of a workout improves the brains of older adults. The beetroot juice supplement provides the brains of this demographic function with improved efficiency, mirroring the functionality of younger brains. Though it was known that exercise alone makes a positive impact on the brain, it comes as a bit of a surprise that beetroot juice supplements also bolster mental processing power. The results of the study were recently made available to the public in peer-reviewed Journals of Gerontology: Medical Sciences. The brief training study keyed in on hypertensive older individuals. The effort was led by W. Jack Rejeski, the Director of the Behavioral Medicine Laboratory in the Department of Health & Exercise Science. The study’s lead author was Meredith Petrie, one of Rejeski’s former undergraduate students. The study served as the first test to gauge the combined impact of exercise and beetroot juice supplements on the brain’s functional networks in the motor cortex along with the secondary connections between the insula and cortex that ameliorate mobility. The study analysed 26 men and women over the age of 55. These individuals performed no exercise, were saddled by high blood pressure and received no more than two medications to treat the malady. Half the study participants were provided with Beet-It Sport Shot with 560 mg of nitrate, a beetroot juice supplement, three times per week for six weeks. They consumed the supplement an hour before embarking on a 50-minute walking session on a treadmill. The other half received a placebo Beet-It with minimal nitrate. Beets are loaded with dietary nitrate. This nitrate is converted to nitrite and subsequently converted to nitric oxide after consumption. Nitric oxide stimulates blood flow through the body. Several studies have shown nitric oxide boosts exercise performance in individuals across numerous age groups. It is revered as a powerful molecule that travels to portions of the body that are hypoxic or in need of oxygen. The brain is one of the primary suppliers of oxygen to the body. As one exercises, the brain’s somatomotor cortex sorts cues stemming from the body. Exercise serves to strengthen the somatomotor cortex. The combination of beetroot juice and exercise provides an abundance of oxygen to the brain, creating a fantastic environment for boosting the strength of the somatomotor cortex. Post-exercise analysis makes it clear that the group that consumed beetroot juice enjoyed heightened levels of nitrate and nitrite compared to those who consumed the placebo before exercising. It is important to note that participants in both groups had nearly the same levels of nitrate and nitrite in their blood before consuming the beetroot juice and placebo. Though additional studies must be performed, the study’s findings suggest that the foods and drinks consumed during the aging process make a monumental impact on the maintenance of the brain’s health and functionality. So sad to hear the news this week of the passing of Charles Eugster – not far short of 100 years. Dr Charles Eugster, the best-selling author and record-breaking athlete, has died in London at the age of 97. His publicist confirmed he passed away Wednesday evening from complications following heart failure. Born in 1919, he died the current World Masters World Record Holder at M95+ 200m indoor and 400m outdoors. During the past decades, he also broke many records in World Masters rowing, and held numerous World Strenflex titles. He was in high demand around the world as an expert on aging and as an inspirational speaker, sharing his insights and understanding of the benefits of an active old age, as well as making a huge number of media appearances. His first book, Age is Just a Number, was published earlier this year, which he promoted with the catch phrase: “you are never too old to try something new”. David Tarsh, of Tarsh Consulting who represented Charles, added, “We, along with everyone who knew Charles, are incredibly sad to lose such a truly inspirational figure. He has shown, by remarkable example, how fantastic life can be in older old-age. It has been a privilege to work with and learn from Charles”. There was nothing genetically special about Charles. His understanding of the ageing process, and the lifestyle he adopted to ensure his ongoing physical and mental well-being, is something everyone can aspire to. He passionately believed that continuing physical and mental activity into the later years of life provides incalculable benefits to individuals and to society as a whole. Charles never sought physical immortality but he wanted to “change the world” to make advanced old age a different experience… one that could be exciting, useful and fulfilling. At this, he led by example and magnificently over-achieved until the very end of his remarkable life. His legacy, however, will live on having inspired thousands around the world. Charles was an amazing man with the energy and enthusiasm for healthy ageing that belied his years. I remember him fondly and it was a privilege to have met him. You can read the interview here. London’s first health fair dedicated to the ancient Indian principles of Ayurveda – Ayurveda For Everyone – is taking place next weekend of Saturday 1 and Sunday 2 April, 2017.Elixir has four pairs of tickets to give away – 2 for the event and another 2 for the evening concert on Saturday 1 April. Bringing together world experts and leading producers of Ayurvedic therapies and preparations, Ayurveda For Everyone will highlight how diet and nutrition, exercise, lifestyle and meditation, can promote good health and longevity. The first 2 pairs of tickets for this event will be given away for the Ayurveda for Everyone Health Fair, where world-renowned health experts and scholars will speak about Ayurveda and how it can benefit you in your daily life. Some of the topics include weight management, anti-ageing, overcoming joint and back pain, and keeping your heart healthy. Enter to win and you will have a chance to learn the simple health secrets from the experts. Our second giveaway will be for another two pairs of tickets to the Gandharva Veda Concert, where the traditional music and songs of India will be performed by talented and accomplished musicians. The concert will be held Saturday 1 April at 8pm. The music will uplift your spirits, and is key to the full Ayurveda treatment. See the full line-up of musicians here, and enter today for chance to win tickets to the experience you’ll never forget. The Ayurveda For Everyone Health Fair takes place at the Novotel London West, 1 Shortlands, Hammersmith International Centre, London W6 8DR from 1 to 2 April 2017. The Event will offer displays, product samples and treatment demonstrations from leading suppliers of Ayurvedic preparations and therapies alongside exclusive talks from 10:00am to 5:00pm. Tickets are available to purchase for pre-register – click here to find out more and start from £25.00 to attend one full day at the Health Fair and all 7 lectures or £40.00 to attend both days and all 14 lectures. Tickets are £30.00 and £45.00 on the door respectively. All you have to do to win a pair of tickets is to answer the simple question below. This competition closes on Thursday 30 March 2017 at midnight. Please note that the Editor’s decision is final and no cash equivalent is offered. The winner will be notified by email at the end of the competition. Winners will be able to pick their tickets up the Box Office. Good luck! 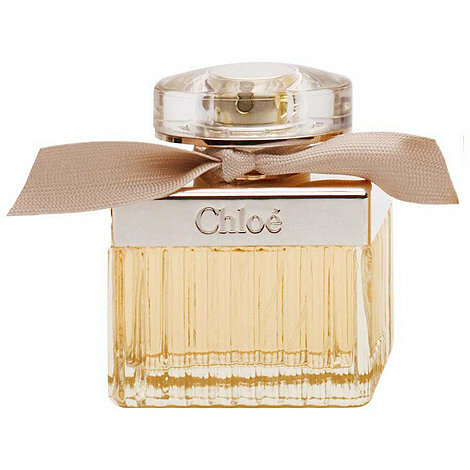 Chloé’s signature scent truly embodies the creative, confident individuality of the Chloé woman: a fresh, feminine fragrance with an innate sense of chic. The perfume is created with a mix of natural and couture ingredients. The bottle is made with genuine silver plating and graced with a finishing touch, a hand tied ribbon. This unique example of craftsmanship and sublime rose scent perfectly capture the house of Chloe spirit, effortless chic and femininity. All you have to do to win our Chloe perfume is answer the simple question below. This competition closes on Sunday 2nd April 2017 at midnight. Please note that the Editor’s decision is final and no cash equivalent is offered. The winner will be notified by email within 24 hours of the end of the competition. Good luck! Active older people should keep on running, according to a new study from the University of Colorado Boulder and Humboldt State University. It revealed that seniors who run several times a week expend about the same amount of energy walking as a typical 20-year-old. And even older people who walk for exercise rather than jog expend about the same amount of energy walking as older, sedentary adults, and expend up to 22 percent more energy walking than the 20-something crowd. “The bottom line is that running keeps you younger, at least in terms of energy efficiency,” said CU-Boulder Associate Professor Rodger Kram of the Department of Integrative Physiology, a co-author of the new study. The study involved 30 healthy older volunteer adults (15 males and 15 females) with an average age of 69 who either regularly ran or walked for exercise. The volunteers all had been either walking or running at least three times a week for a minimum of 30 minutes per workout for at least six months. Boulder was an ideal place for the study, said Kram, in part because it has been an international running mecca since the 1970s and there are a relatively large number of senior runners. “What we found is that older adults who regularly participate in highly aerobic activities – running in particular – have a lower metabolic cost of walking than older, sedentary adults and also lower than seniors who regularly walk for exercise,” said Ortega, who earned his doctorate at CU-Boulder. All study participants underwent preliminary health screenings at the CU-Boulder Clinical and Translational Research Center (CTRC), which is funded primarily by the National Institutes of Health. The test subjects walked on a force-measuring treadmill at three speeds in Kram’s Locomotion Laboratory at CU-Boulder: 1.6 mph, 2.8 mph, and 3.9 mph. The researchers measured each participant’s oxygen consumption and carbon dioxide production during the testing sessions. For the new study, the team also used data gathered as part of Ortega’s dissertation on the energy expended by younger and older sedentary adults during similar walking treadmill tests for comparison. Other co-authors of the new study are CU-Boulder graduate student Owen Beck, Jaclyn Roby, now a student in the Physical Therapy Program at CU’s Anschutz Medical Campus in Denver, and former Humboldt State undergraduate Aria Turney. “It was surprising to find that older adults who regularly run for exercise are better walkers than older adults who regularly walk for exercise,” said Beck. “The take-home message of the study is that consistently running for exercise seems to slow down the aging process and allows older individuals to move more easily, improving their independence and quality of life,” he said. Specifically, Kram believes that mitochondria—small bodies found inside individual cells known as the cell “powerhouses”—are involved. Mitochondria generate chemical energy known as adenosine triphosphate (ATP) that powers our muscle fibers to help us move about, lift objects, and, in this case, run. People who work out regularly generally have more mitochondria in their cells, providing more energy to power larger muscles. Kram said further research is needed to determine the role mitochondria play in the energy efficiency exhibited by running seniors. Vitamin D deficiency may increase the risk of chronic headache, such as migraine, according to a new study from the University of Eastern Finland. The recent Kuopio Ischaemic Heart Disease Risk Factor Study, KIHD, analysed the serum vitamin D levels and occurrence of headache in approximately 2,600 men aged between 42 and 60 years in 1984-1989. In 68% of these men, the serum vitamin D level was below 50 nmol/l, which is generally considered the threshold for vitamin D deficiency. Chronic headache occurring at least on a weekly basis was reported by 250 men, and men reporting chronic headache had lower serum vitamin D levels than others. Despite being an essential vitamin with multiple benefits including anti-inflammatory properties, survey results have shown that 79% of UK adults don’t take a vitamin D supplement despite 1 in 5 being deficient. Coenzyme Q-10 is great for supporting brain health. Found in fatty foods like fish, beef, chicken and nuts. These healthy oils can decrease the duration and severity of migraines as they act as an effective anti-inflammatory, which can help to reduce blood vessel inflammation within the brain. As well as Vitamin D, many migraine sufferers are also prone to have a deficiency in magnesium. Known as ‘nature’s tranquiliser’, an increased magnesium intake can reduce the frequency of headaches and migraines up to 41%! “Many of us live hectic, stressful lives and are more exposed to environmental and food toxins, which can make us more prone to a magnesium deficiency. To make sure you’re getting your daily dose I would recommend taking Natures Plus KalmAssure Magnesium Capsules (£11.75, www.naturesplus.co.uk), which are easily absorbed and delivered to the tissues,” explains Cassandra. Psoriasis is a common, autoimmune inflammatory disease that causes raised, scaly patches, known as plaques, to appear on the skin. It can be mild or chronic. These scaly patches appear most often on the knees, scalp, and the outside of the elbows, and are the result of skin cells growing abnormally quickly. People with psoriasis often experience itchiness, and burning and stinging sensations in these areas. People can develop psoriasis at any age, but they are most frequently diagnosed with the illness between the ages of 15 and 35. Although doctors accept that Vitamin D cannot cure this condition it can help to alleviate it. Vitamin D is made naturally by the body but is also found in fatty fish, cheese, egg yolks and mushrooms amongst other foodstuffs. Vitamin D helps the muscles, heart, lungs, and brain to work well. It also helps to maintain strong, healthy bones. the body turns vitamin D into a hormone. This hormone is called “activated vitamin D” or calcitriol. Vitamin D helps maintain the health of bones and teeth and supports the health of the immune system, brain, and nervous system. It plays a role in controlling insulin levels and helps lung function and cardiovascular health. A lack of this vitamin is also suspected in the development of some cancers. How might vitamin D help with psoriasis? These treatments may be even more effective when used in combination with a high-quality topical steroid. In fact, a recent study found that the combination of a topical vitamin D treatment and a topical steroid was more effective at treating scalp psoriasis than steroids alone. Vitamin D and UVBUltraviolet B (UVB) light therapy is also sometimes used to treat psoriasis. The treatment mimics the spectrum of the sun’s UVB rays that are known to trigger the production of vitamin D in the skin. UVB is effective at reducing psoriasis symptoms in 70 percent of patients. UVB light therapy, which mimics the sun’s rays, may be used to treat psoriasis. Everybody needs a certain amount of vitamin D per day. A person can take a simple blood test to find out their vitamin D levels. If the levels are too low, they can take oral supplements to replenish them. Low vitamin D levels are common among people with long-term plaque psoriasis. Experts believe that having a vitamin D deficiency does not cause psoriasis, but it might limit the body’s ability to keep skin healthy. Studies have found that in the winter, when there is less available sunlight, vitamin D deficiencies and psoriasis symptoms often get worse. There is not much evidence to suggest that vitamins or dietary supplements help reduce symptoms of psoriasis. However, some people with psoriasis believe that omega-3 fatty acid supplements help ease their psoriasis. Omega-3 fatty acids have been shown to reduce inflammation. Psoriasis is an inflammatory disease, which is why some people believe the supplements help. But more long-term clinical trials are needed to show whether these supplements are effective for treating psoriasis. Offers on a huge array of activities – whether its a spa break for 2, driving experience with a high-bred fast car or simply visiting a vineyard for a wine-tasting – MAD has it all. Click here to find out more. The Ultimate Book of Whisky provides a fascinating introduction to the most renowned whiskies from around the world. Including more than 200 of the finest whiskies each entry is accompanied with colour photography, historical information and detailed tasting notes describing the appearance, style and unique flavours of the whisky. The accompanying Tasting Notes book enables you to write down your impressions of a whisky, capture unique flavours, and mention those characteristics that make the whisky distinctive. This key information will help you remember the whisky in the future and build up a record of the drams you have tasted. There is also free delivery on goods of £35 or more with Code – XMAS4. A large analysis of current research shows that people who eat at least 20g of nuts a day have a lower risk of heart disease, cancer and other diseases. The analysis of all current studies on nut consumption and disease risk has revealed that 20g a day – equivalent to a handful – can cut people’s risk of coronary heart disease by nearly 30 percent, their risk of cancer by 15 percent, and their risk of premature death by 22 percent. An average of at least 20g of nut consumption was also associated with a reduced risk of dying from respiratory disease by about a half, and diabetes by nearly 40 percent, although the researchers note that there is less data about these diseases in relation to nut consumption. The study, led by researchers from Imperial College London and the Norwegian University of Science and Technology, is published in the journal BMC Medicine. The research team analysed 29 published studies from around the world that involved up to 819,000 participants, including more than 12,000 cases of coronary heart disease, 9,000 cases of stroke, 18,000 cases of cardiovascular disease and cancer, and more than 85,000 deaths. While there was some variation between the populations that were studied, such as between men and women, people living in different regions, or people with different risk factors, the researchers found that nut consumption was associated with a reduction in disease risk across most of them. Study co-author Dagfinn Aune from the School of Public Health at Imperial said: “In nutritional studies, so far much of the research has been on the big killers such as heart diseases, stroke and cancer, but now we’re starting to see data for other diseases. The study included all kinds of tree nuts, such as hazel nuts and walnuts, and also peanuts – which are actually legumes. The results were in general similar whether total nut intake, tree nuts or peanuts were analysed. What makes nuts so potentially beneficial, said Aune, is their nutritional value: “Nuts and peanuts are high in fibre, magnesium, and polyunsaturated fats – nutrients that are beneficial for cutting cardiovascular disease risk and which can reduce cholesterol levels. The study also found that if people consumed on average more than 20g of nuts per day, there was little evidence of further improvement in health outcomes. The team are now analysing large published datasets for the effects of other recommended food groups, including fruits and vegetables, on a wider range of diseases. 1. “Nut consumption and risk of cardiovascular disease, total cancer, all-cause and cause- specific mortality: a systematic review and dose-response meta-analysis of prospective studies” by Dagfinn Aune et al. will be published in BMC Medicine at 01:00 London time (GMT) Monday 5 December 2016. Imperial College London is one of the world’s leading universities. The College’s 16,000 students and 8,000 staff are expanding the frontiers of knowledge in science, medicine, engineering and business, and translating their discoveries into benefits for society. Founded in 1907, Imperial builds on a distinguished past – having pioneered penicillin, holography and fibre optics – to shape the future. Imperial researchers work across disciplines to improve health and wellbeing, understand the natural world, engineer novel solutions and lead the data revolution. This blend of academic excellence and its real-world application feeds into Imperial’s exceptional learning environment, where students participate in research to push the limits of their degrees. Heat oven to 400 F. Lightly coat a baking sheet with cooking spray. In a medium bowl, combine the ground almonds, flour, thyme, onion powder, garlic powder, salt and pepper. Pour the milk in a separate medium-sized bowl. Coat each chicken breast in the almond mixture, then into the milk, and back into the almond mixture, and place on the baking sheet. Preheat a nonstick saute pan on medium-high heat, and add the olive oil to the pan. Once the pan is hot, place the chicken breasts in the pan and reduce heat to medium. Sear the chicken breasts on one side until they are golden brown, then sear on the other side for 1 minute. Place chicken back on the greased baking sheet and bake in the oven for about 10 minutes or until the internal temperature reaches 165 F.
Is there really a cure for ageing? Scientists discover breakthrough procedure to replace specific parts of ageing cells by getting them to eat themselves to death. A landmark study has identified a new way to replace ageing cells in our body. The research by scientists at Caltech and UCLA could pave the way to developing nip-n-tuck style procedures that reverse and slow the ageing process. The experiment targeted mutated DNA inside our mitochondria – the ‘battery’ of our cells. As we age, our DNA breaks down and mutates. But unlike other parts of the body, the mitochondria are not very good at repairing DNA. But now, in a groundbreaking procedure, the Caltech-UCLA team has found a way to manipulate genes so that they break down and remove mutated DNA, regenerating the cells. The operation is a twist on an already-documented natural procedure called autophagy (‘self-eating’). As a result of autophagy, cells can digest dysfunctional mitochondria, clearing the way for healthy replacements.Research into autophagy that earned a Nobel Prize this year.But prior to the Caltech-UCLA it has not been clear whether this process could also promote the selective elimination of mutant or ageing DNA. The accumulation of mutant mtDNA over a lifetime is thought to contribute to aging and degenerative diseases of aging such as Alzheimer’s, Parkinson’s, and sarcopenia— age-related muscle loss and frailty.Inherited defects in mtDNA are also linked to a number of conditions found in children, including autism. To test their method, the team used a common fruit fly. They focused on mitochondrial DNA in the muscles it uses to fly, since this is one of the most energy-draining tissues in the animal kingdom. Like in humans, fruit flies’ muscles show some of the clearest signs of ageing. Fruit flies and humans are share many disease genes. In the experiment, the fruit fly was genetically engineered so that 75 percent of its mtDNA was mutated early on. They then artificially increased the activity of genes that promote mitophagy. In doing so, the fraction of mutated mtDNA in the fly muscle cells was dramatically reduced. One gene in particular – called ‘parkin’ – reduced the fraction of mutant mtDNA from 76 percent to 5 percent when it was overexpressed. Another gene – called ‘Atg1’ – reduced the fraction to 4 percent. These are both genes which seem to be underactive in elderly people and people with degenerative diseases like Parkinson’s. ‘Such a decrease would completely eliminate any metabolic defects in these cells, essentially restoring them to a more youthful, energy-producing state,’ Professor Hay said. He added: ‘Our goal is to create a future in which we can periodically undergo a cellular housecleaning to remove damaged mtDNA from the brain, muscle, and other tissues. Extra 30% discount for all items in our SALE category. Just use the voucher code FRIDAY30 to every sale purchase and get an addition 30% discount. Offer valid until Monday 28.11.2016. Get you exclusive designer bargains here. John Lewis is matching prices against a competitor’s promotion as well lowering hundreds of prices even further over the weekend.